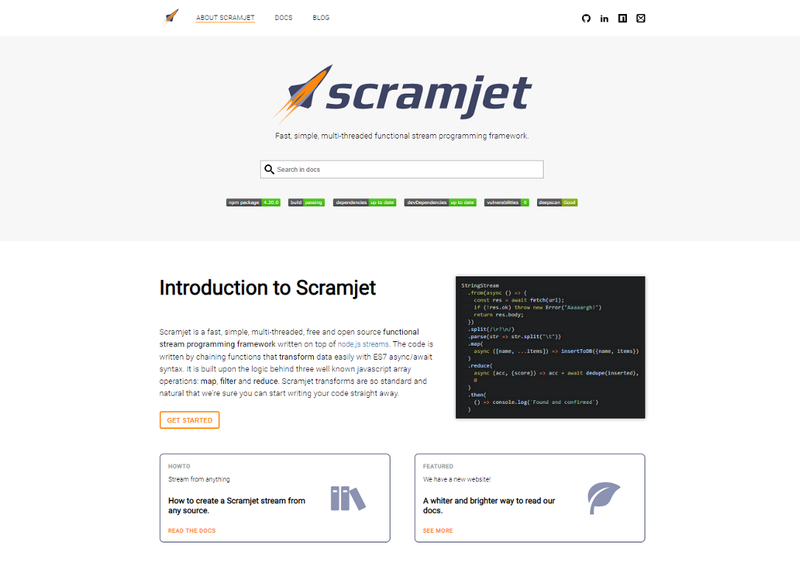 Scramjet is a fast, simple, multi-threaded functional stream programming framework written on top of node.js object streams. The code is written by chaining functions that transform the streamed data, including well known map, filter and reduce and fully compatible with ES7 async/await. 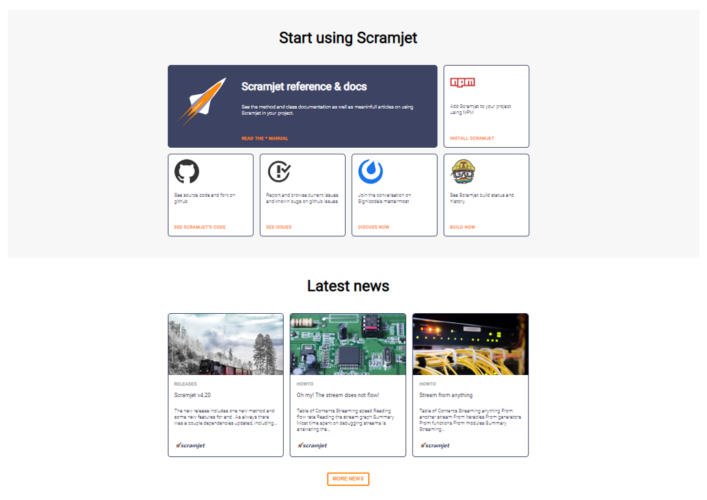 Thanks to it some built in optimizations scramjet is much faster and much much simpler than similar frameworks when using asynchronous operations. Scramjet is being developed and supported by Signicode. 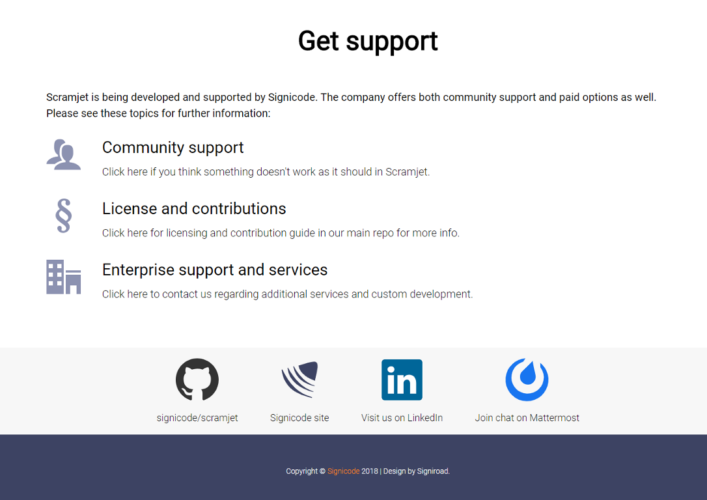 The company offers both community support and paid options as well. Signiroad created a product page layout. Choosing a partner for a long lasting business relationship is never simple, even after 20 years of professional experience. A couple of years ago I decided to lean on Signiroad and it was one of the best decisions I’ve made.